February is the month of love and they say the way to a man's heart is food....so "Luigi" has you covered! 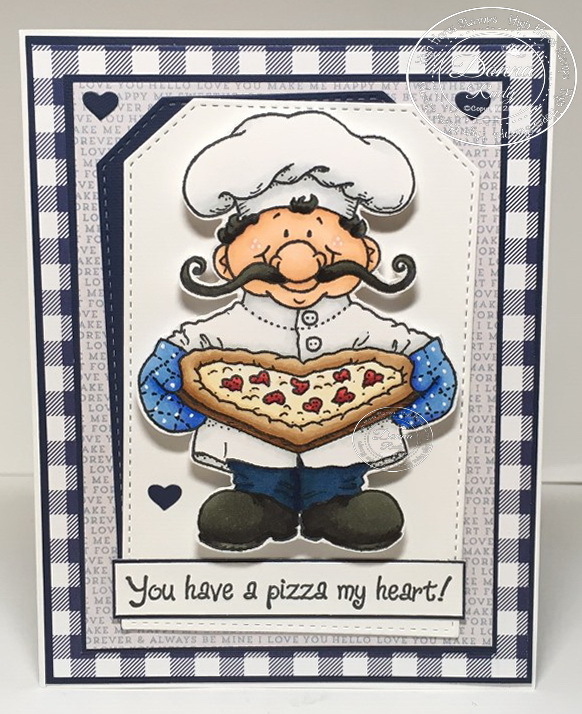 How fun is this heart shaped pizza!? 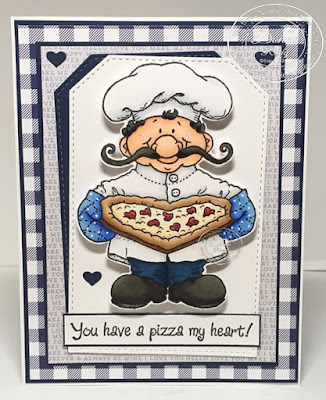 Perfect for Valentine's Day or an Anniversary card especially if the recipient loves pizza! 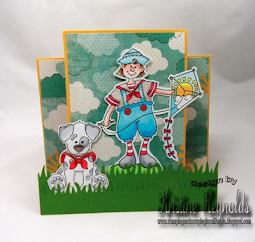 I added him to a stitched tag background with some foam pop dots just for fun. 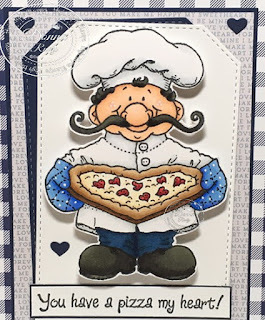 The sentiment was stamped and cut to fit and all of this cuteness was added to some patterned paper from MFT and my stash. A few die cut hearts finish off my A2 size card. 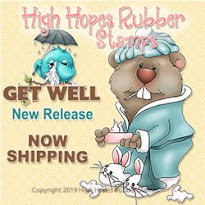 Go to High Hopes Stamps (http://highhopesstamps.com) and do a search for Luigi. Just follow the ordering instructions.